Warcraft Patch 1.22 Released by Blizzard today. Just connect to one of the four servers and patch up. But a lot people complaining about some problem that will occurs. I. If the patch 1.22 download won't start for you, try getting it using the other three servers. II. If "war3.exe cannot be found", download the missing update (Microsoft Visual C++ 2005 SP1 Redistributable Package (x86)) from here. are automatically saved to the "replay" folder. disconnect. These saved games are placed in the "save" folder. - Added an option to always show unit and building health bars. - Scout Tower repair rate changed from 12 to 20. 1.40 and base damage increased from 25 to 28 (Average damage is 34). - Increased Ziggurat base armor from 1 to 5. - Reduced the build time of the Necropolis from 120 to 100. - Reduce the Orb of venom poison duration from 10 seconds to 8 seconds. preservation) now persists after the item is dropped or traded. - A cooldown exploit with potions has been fixed. between heroes has been fixed. - Fixed DotA-specific sound effects on Intel Macs. The good news is, with Warcraft patch 1.22 the Mac user will now be able to hear "FIRST BLOOD" and the other anouncer sound when playing Dota-Allstars. We also have in game option to always see the health bar, nice! But there's also some issues that will occur when we are playing Dota-Allstars with Patch 1.22. The most reknown is the problem with the rune and lag. I hope this won't stop IceFrog to release Dota-Allstars 6.53 next week. It says my (10)DustwallowKeys.w3m has a wrong checksum..
@benjx - wow, you got such a nice info there :) Thank you very much, i will check it and maybe will make a new post about this. @BenjX - Wow, your version number is indeed a little strange. What about trying a 6.52 Dota map with rune? If the rune bugged (only appear once and cannot appear anymore after 2 minutes), probably you got the right version. In the mean time, i'll try to find more info. 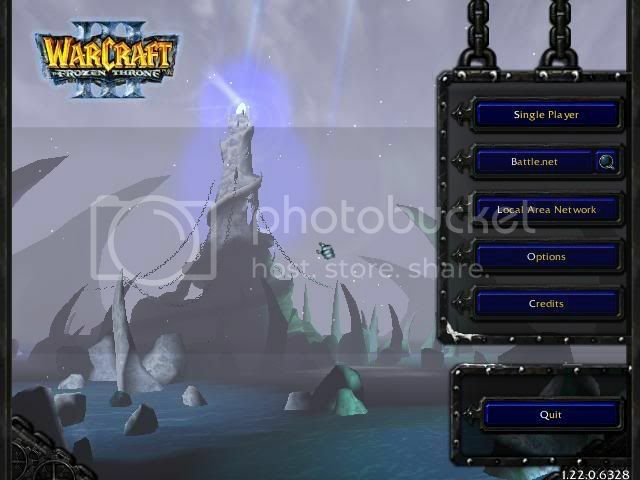 Does pirated frozen throne able to patch to 1.22? 2. Locate key SOFTWARE in HKEY_LOCAL_MACHINE. 4. Then type Blizzard Entertainment. 6. Then on RHS right click and select New --> String Value & type InstallPath. karanthegreat, TY for the directions. I followed the steps and it worked only to get hit with an error message saying the installation cannot continue as the patch and game failed the check sum. Can anyone help? Then you will be able to patch. OMG thx so much karanthegreat!! is worked for me perfectly thx!!! I was follwing your intcrution but i still can't patch the game. Somebody has an advice for me?!? can u give me site to download the patch switcher..
What is RHS that Karanthegreat said? anyone know how to update from warcraft 1.21 update to 1.22? ?im also so curious about it and i also duno how to update..i keep on finding the way to update so please anyone.if u know how to update,please kindly tell me..thanks!! Alif, I still cant dl patch. U malaysian right? Can u gv me ur phone number to me. I think better i call u to guide me how to dl patch. Can?